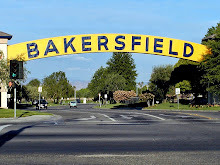 Welcome to Bakersfield Observed, now online only. 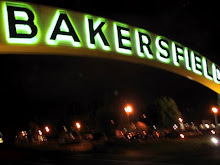 Our mission is to celebrate life in Kern County by focusing on newsmakers and events and the local characters who make this such a special place. Email your news and notes to rsbeene@yahoo.com. Assembly District 32, where Bakersfield Democrat Rudy Salas finished second to Hanford city councilman Justin Mendes. Salas held onto Kern County easily, carrying 60 percent of the vote, but was overwhelmed outside the county by Mendes. The two will square off in the November general election, but clearly Salas has some work to do outside of Kern County. * ... DONNY YOUNGBLOOD: And perhaps the dirtiest race in Kern County was that waged by Justin Fleeman against Sheriff Donny Youngblood. It started ugly, got uglier and even ended on an ugly note when Fleeman told The Californian he was going back to the sheriff's department to be the "watchdog" on Youngblood. Speaking on my radio show, Youngblood was still reeling from the negative campaign and said his first order of business was to rebuild a culture of trust in the sheriff's department. * ... 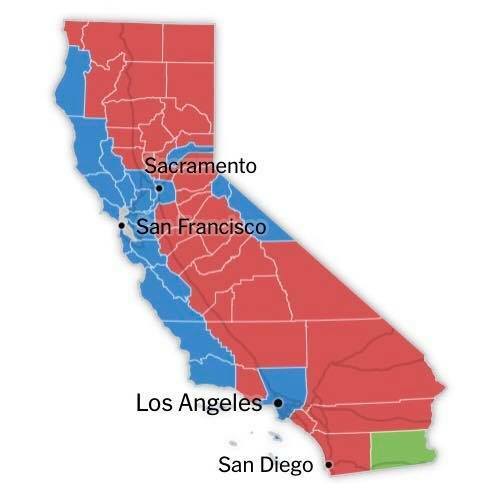 DIVIDED CALIFORNIA: This map showing how Californians voted in the governor's race tells the story of a divided state: liberal along the populated coasts and conservative inland. * ... SPOTTED ON TWITTER: "When girls have a great night out, they talk about it for months. When guys have a great night out, that night will never be spoken of." * ... GRIMMWAY: Hats off to Grimmway Farms which awarded 55 college scholarships to recent high school graduates as part of the Rod and Bob Grimm Memorial Scholarship Program. The program has awarded more than 600 scholarships totaling more than $1.65 million to high school seniors since it was created in 1997. 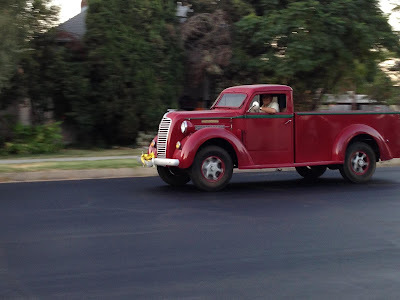 * ... GOOD NEWS: I was glad to hear that the Casagrande family of downtown Bakersfield has been reunited with its 1936 Diamond T truck. 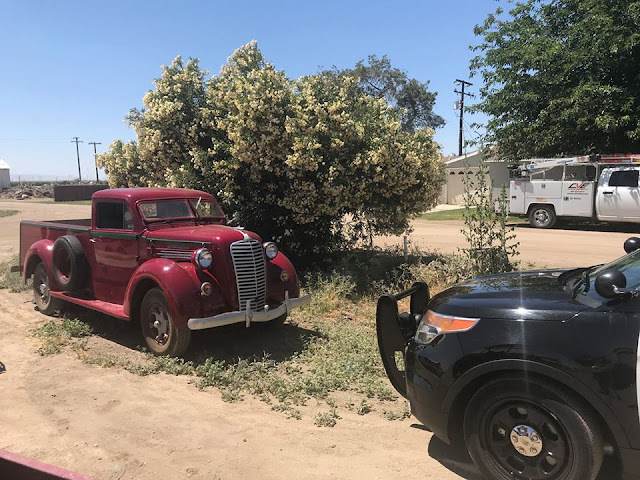 The classic truck was stolen about a week ago but showed up in Buttonwillow with a few scratches but otherwise in good shape. 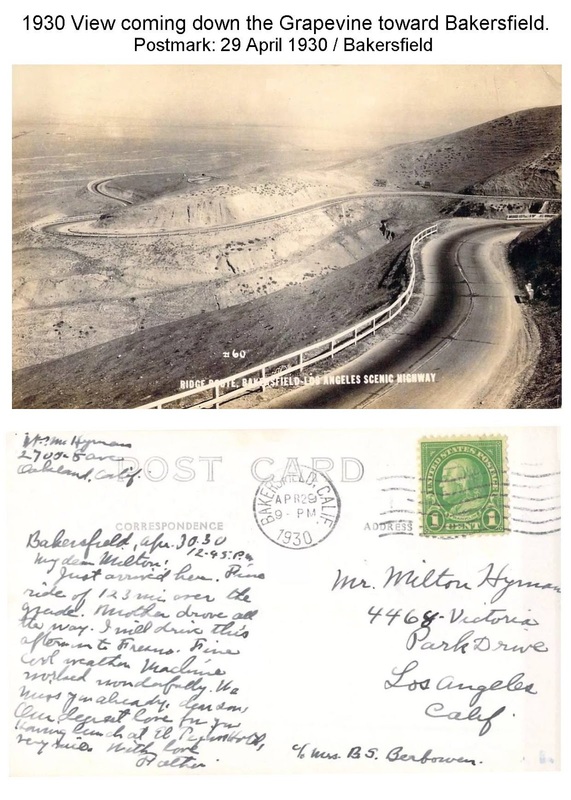 * ... MEMORIES: An old 1930 postcard featuring the northbound Grapevine headed into the San Joaquin Valley. move on with no problem, and my money is on Sheriff Donny Youngblood to beat challenger Justin Fleeman in a romp. But that doesn't mean there isn't drama. Will district attorney candidate Cynthia Zimmer be hurt by revelations that legally questionable TV ads were aired supporting her campaign? She is locked in a tight one with assistant DA Scott Spielman. And in the hottest judge's race, will Brandon Martin be hurt by revelations that his candidacy may in fact be tainted itself because his degree to practice law was suspended eight years ago? Stay tuned it will be a fun week. * ... POLITICAL HIJINKS? : Keep an eye on what happens when someone looks into the behavior of Cathy Abernathy's Western Pacific Research in support of district attorney candidate Cynthia Zimmer. This much is known: staffers from WPR may have violated the law by coordinating the airing of pro Zimmer campaign ads on several local TV stations. What is more interesting is that Abernathy denied any wrongdoing, as did Zimmer, who said she had not used WPR since earlier in the year after the death of Mark Abernathy. Yet, campaign disclosure statements show that Zimmer's campaign was paying WPR for services as late as the April and May reporting period. So who is lying here? Or are we all consuming so much Ambien it is clouding our memories? * ... SPOTTED ON TWITTER: "I tried killing a spider with hairspray. He’s still alive, but his hair looks outstanding." * ... SPOTTED ON FACEBOOK: "You cannot make everybody happy. You are not a taco." * ... BEAUTIFUL BAKERSFIELD: The Beautiful Bakersfield Awards were held this weekend, a night that sponsor KGET hypes as "Bakersfield's version of the Oscars." The evening does recognize some good work and people around town, but comparing it to the Oscars is like comparing the Bakersfield dirt tack speedway to the Monaco Grand Prix. It's a painfully long evening for those forced to endure it and I wouldn't wish it on anybody, but as I said, some good folks and organizations are honored. 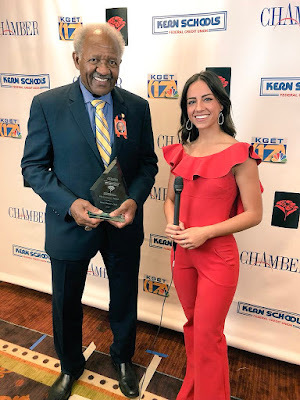 A couple of my favorites: the 17th Place Townhomes won the award for architecture and design, Bob Meadows of Mission Bank won business person of the year and CSUB President Horace Mitchell was honored with a chairman's award. * ... STOLEN TRUCK: A classic 1936 red truck was stolen out of a driveway on 20th Street downtown the other day. 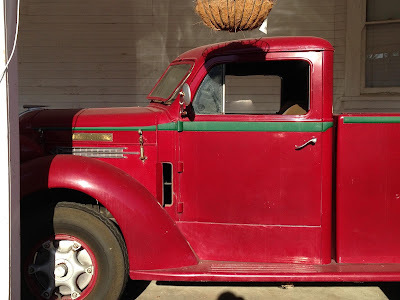 The truck. purchased new by the owner's late father, is a fixture in the annual July Fourth Westchester parade. Contact Bakersfield police if you see it. * ... MEMORIES: Check out this old photo of the original City Hall compliments of the Bakersfield Memories Facebook page. 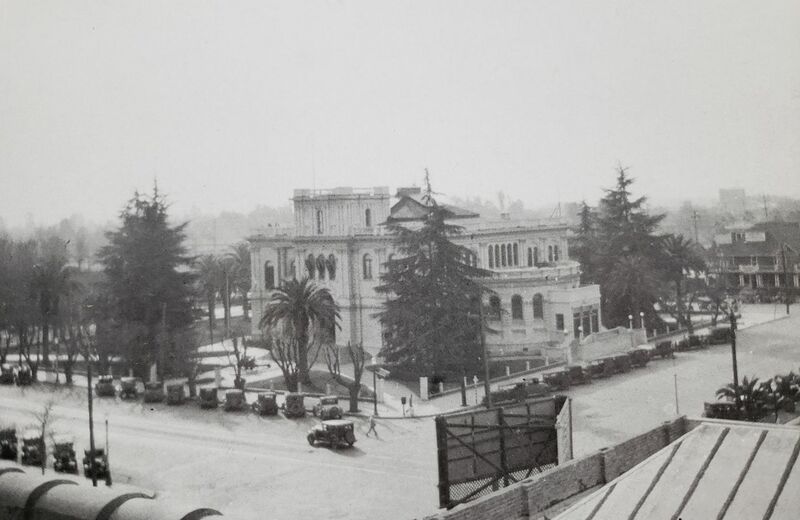 The caption reads: "Originally the Kern County Courthouse, it became City Hall in 1912. 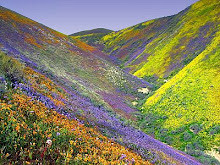 It was badly damaged in the '2 quake and had to be demolished. The new City Hall occupies the same spot today. This view is southwest at Truxtun and Chester. 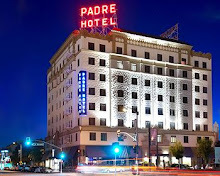 The Mission style tile roof in the foreground suggests this was taken from a perch on the Hotel El Tejon which, by the looks of the cars, would put this between 1926 and 1930ish."